We have few events coming ahead in next few days. Are you prepared for the upcoming BitcoinCash fork? Have you wallowed yourself in the wagering contest? Last week was flushed with exhilaration as we already have reached 10 million bets on roulette along with users winning 40% of jackpot. As we have stated before that we will no longer be distributing coins that has been created due to chain split or forks, but this time for BitcoinCash, we have decided to honour users with their forked coins. This is just an exception, as our policy regarding forks and chain split still remains the same. A full detailed post has already been made concerning about the fork over here. If you are eligible to claim the new coins created due to the fork, get yourself prepared. Congratulations to the user Earthling591 for placing the 10,000,000 millionth bet on roulette! The user has been rewarded with 0.05 BTC for this achievement! This has been a huge success for us and hope to see more of such goals. Less than 17 days left for this month's wagering contest to end and we have already seen top users claiming the maximum rewards at Litecoin and Ethereum. This month we might see more competitions between the users than before. Bitcoin: Currently user Pepepu35 is on the top of the leaderboard by wagering 161.175 BTC. The estimated reward is around 0.354 BTC out of the maximum 1 BTC reward if the user manages to keep up his position. 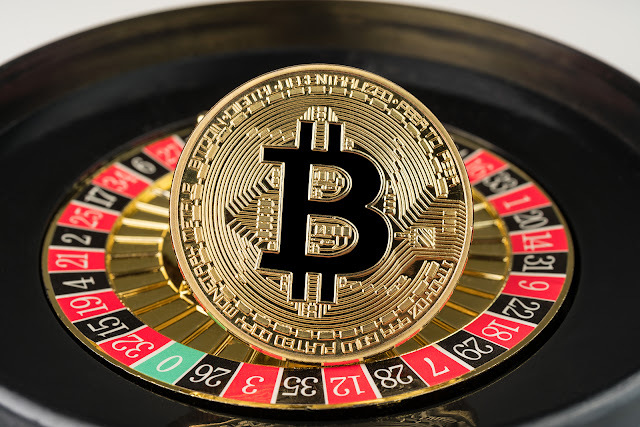 The user is followed by brewdog2018 and Osmonde321 each wagering around 38.605 BTC and 23.69 BTC. Each user current estimated rewards based on their wagering amount is around 0.073 BTC and 0.037 BTC for their respective position. Dogecoin: As of now, user Kothari12 is currently leading the dogecoin wagering contest. The user has wagered around 29,397,303.55 Doge placing him on the top. The user will be receiving at least 58,794 Doge coin as a reward. The user is followed by Goobersmooch and Janaya996 each wagering around 25,614,659 Doge and 19,336,478 Doge. Based on their total wagered coins for this month, they will be receiving 46,106.38 Doge and 29,004.71 doge each! Ethereum: Once again user Aylmer555 is holding into the top position by wagering 14,581.59 ETH! The users have already maxed out on the reward and will be receiving a total of 5 ETH if no one else takes over the position. The user is followed by Mayson018 who wagered 375.418 ETH to capture this position. This user will be receiving 0.71 ETH. Third place is currently taken by Jermane821 by wagering 325.222 ETH and will be receiving 0.52 ETH as a reward for wagering that amount and being third. Litecoin: User Xyxfkxkl is on the top of the leaderboard and will be receiving the maximum reward of 15 LTC. The user wagered 17,540.7 LTC to reach the top position. The user is followed by Gip041 and Goobersmooch each wagering 1,694.02 LTC and 1,276.17 LTC. The users as of now will be receiving 3.049 LTC and 1.914 LTC for their respective second and third position. Stratis: User holzfritte is currently leading the Stratis wagering contest by wagering 54,801.7 START! The user will receive 109.6 START as a reward based on his total wager, if the user isn’t taken over by someone else. The user is followed by xitonfera and Lutpin each wagering 12,624 START and 3,995.32 START. Each user will receive 22.72 START and 5.99 START as a reward for their total wager and position at the leaderboard. There is enough time left to join the and conquer the leaderboard. If you haven’t yet, jump into the contest and grab in some sweet rewards. More information about the current contest can be found by going to “Your Account” and clicking on “Contests”. There are still plenty of time to join the contest and grab some sweet rewards. Don’t forget, along with those free coins, you will also be getting lotto tickets (for selected coins only) and the [VIP] tag with access to exclusive VIP chat channel. VIPs also have no dice speed limit! Last week have had a total of three jackpot wins! User Kisd89ec has won 136,678,201.21264318 Playmoney (41.012 % of the total jackpot). User Gordy894 has won 0.054 BCH (1% of the total jackpot) and user Ricente once again won 0.035 BTC (1% of the total jackpot). SubnetMask has been extremely lucky for round 318 btc lotto. The user has won first place with 0.478% win chance winning 0.01672 BTC! Jackthenife (7.656% of win chance) and Play (28.708% of win chance) has taken the second and third position winning 0.003135 btc and 0.001045 BTC each. Round 319 of BTC lotto is about to end with less than a day remaining. Buy your tickets now and win some huge pots! User Ivaylo made a profit of 0.034 BTC by placing a bet of (BetID dice: 2,766,124,660) only 0.0004308 BTC. User Sniffy managed to hit 992.0x multiplier and win 0.029 BTC (BetID Dice: 2,770,841,798) by placing a bet of only 0.00003010 BTC. User bert808 won 0.2945 BTC by placing 0.07842 BTC bet on dice (BetID Dice: 2,773,467,085). User Randee925 won the slot jackpot making a profit of 9.99 start by placing 0.01 Start bet (BetID slot: 25,534,704). User Dimagog won 61.44 PPC on roulette by placing a 12.288 PPC bet (BetID roulette: 9,983,300). Hop into the November wagering contest and win some amazing reward. There is more than enough time to claim the top position. Remember, there are other coins that are not much active right now on the contest. Play those coins and you can easily gain the top position.